The Chico Dining Room at Chico Hot Springs Resort and Day Spa is nestled in the Absaroka Mountains 30 miles North of Yellowstone Park. Chico serves mouth watering continental cuisine in a rustic yet elegant atmosphere. The Chico Dining Room has become a traditional stopover for travelers who enjoy fine dining during their trip in the Northwest. The Chico Dining Room has a reputation as one of Montana's finest restaurants and is a great way to end a fulfilling day of sightseeing in Yellowstone. Please come join us! For dining or lodging reservations, please call (406) 333-4933 and ask for Guest Services. 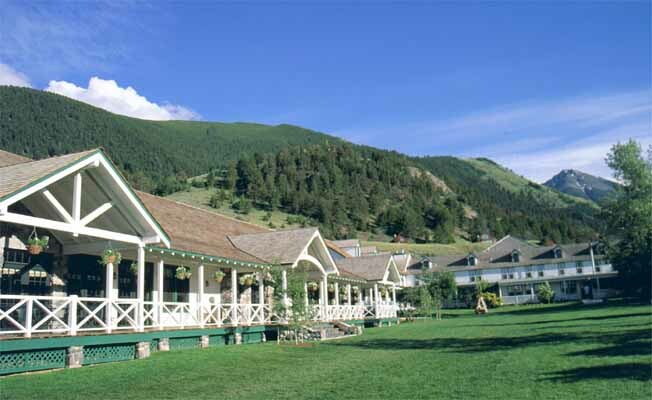 Chico Hot Springs Resort and Day Spa is open year-round for accommodations, dining and activities. Sign up for a massage with the Chico Day Spa, take a horseback ride at the Chico Barn or go dog-sledding with Absaroka Dogsled Treks. Other activities include mountain biking, hiking, cross-country skiing, snowmobiling and snowshoeing. The hot springs pool is open year-round and is excellent for soaking those weary bones.